Hello and welcome to another great post exploring the magic of Unicorns. This week I am going to share with you some tasty but naughty treats which are great for birthday parties. Please do take a look at our previous Unicorn posts too, we still have one more Unicorn article to release which will be focused on making a Unicorn Party! Please do try out the search bar at the top of every page, I found these super tasty Freak Shakes which would fit well into a Unicorn theme. Just click on the pic for the full details and recipe. I love super simple ideas that look great, thats really what this blog is all about, it's about creating something easily and affordably that the kids will love and this first idea does just that. 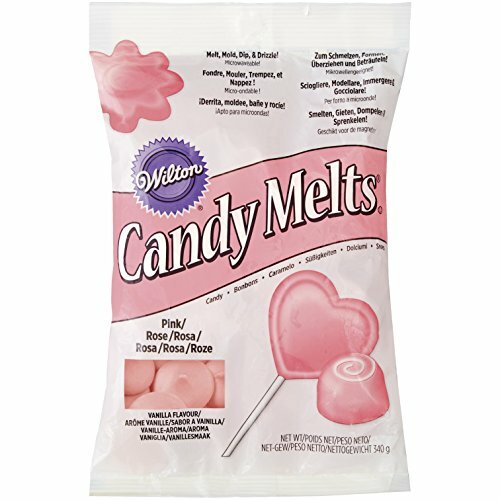 First you'll need to follow the instructions for the candy melts and heat it up, add a little oil to the candy melt to help make it a little thinner and smoother. Dip the lollipop stick end into the candy melt and insert it into the biscuit, allow to dry for a couple of minutes. Now take the first biscuit and dip each side into the candy melt. Straight after this dip it into the hundreds and thousands, leave on greaseproof paper to allow to dry and Harden. This are great as party treats or stick them in little cellophane bags for a great party favour. I ha. I've included below some quick links to help you save time. Let us know if you try these and how you got on with them. This I found on another website but I think they are super cute, I think they are little too complicated to be explained here so just click on the picture to find out how to make these. Im tempted to try them without the amazing decorations on to, just the marshmallows and edible faces? Maybe using different coloured marshmallows, pink, white and lilac etc. Bring cream cheese to room temperature. Blend all ingredients except the colors until smooth. Although a blender, food processor, or hand blender will yield smoothest results, you can technically stir by hand if you must. Divide among four little dishes and stir a different coloring into each dish. Drop spoonfuls of each color into a serving bowl, alternating colors. Then swirl colors together with a spoon. Leftovers can be covered and refrigerated up to three days. Lay the popped popcorn on two cookie sheets and spray lightly with the pink food spray. toss over and coat the other side. Let dry as you prep the candy melts. Place the candy melts each in a small microwave-safe bowl. Heat for 25 seconds, stir, and reheat as needed. Add in 1/2 teaspoon or more of coconut oil to make the candy melts more loose and easily drizzled. Drizzle half of the candy melts over the popcorn, add sprinkles, let dry. Reheat the candy melts and toss the popcorn to coat the other side with the second drizzle. Hello and welcome to a brand new week of Unicorn themed fun. We have already explored crafts and games this month but don't worry I have included links to both of those below. This week we are going to look at some brilliant Unicorn snacks, these are great for lunch box items, birthday party food or just something fun to do at home when you don't want to go out or maybe when you're stuck in waiting for a delivery. Before we get into this weeks Unicorn ideas I have some very exciting news! My second new character of 2018 has arrived and will start to feature in shows very soon. She's a Unicorn and I had no idea what to name her so I turned to my lovely Facebook fans and ran a competition to win a Free one hour Wayne Wonder Party worth £150.00! if you can come up with a great name. I have had loads of entries and some brilliant names, some of my favourite are listed below but there were far too many to mention. Thank you so much everyone for entering I will be doing more competitions and deals solely for my Facebook Page in the future so please do make sure you smash that like button. I also run regular deals and discounts for my newsletter subscribers too so you can subscribe to them below too. Thank you! You will now receive e-mails every now and again with great deals from Wayne Wonder and Wonder Kids as well as all the latest news and great easy ideas for games and activities for the kids that you can try at home. Dazzle - Well done to the winner, I have contacted you already, you have won a FREE one hour Wayne Wonder Party Extravaganza! Lets kick this off with Banana Bread. I love Banana Bread so any excuse to make more and Im up for it. This is also great to make ahead and freeze the entire loaf, you can freeze it for up to three months. When you are ready to use it, just thaw overnight in the fridge and then leave out on the the counter top to come up to room temperature before serving. PRE-STEP: Preheat oven to 375F degrees. Spray two 9x5 loaf pan with nonstick spray. Set aside. STEP 1: In a large bowl, using an electric or stand mixer with paddle attachment cream butter and sugar together until light and fluffy. STEP 2: In a small bowl, beat eggs using a fork. Add eggs to sugar mixture and beat until combined. STEP 3: Add mashed bananas and mix until combined. STEP 4: Sift all dry ingredients: flour, baking soda, and salt. Slowly add sifted dry ingredients to banana mixture and mix until flour is just combined. DO NOT OVERMIX! STEP 5: Fold in sprinkles. STEP 6: Pour banana bread mixture into prepared loaf pan and bake at 375F for 15 minutes. REDUCE heat to 350F and bake for an additional 20-30 minutes or until edges are slightly brown or until toothpick inserted into center comes out clean. Let cool completely before removing from loaf pan. STEP 7: In a large bowl, beat together the butter with an electric mixer. With the mixer on low speed, add the powdered sugar until smooth and creamy. Beat in the vanilla extract. STEP 8: Fill a zip-lock bag with vanilla icing, lock it shut and snip off a corner of the bag. Ice top of bread and sprinkle with additional sprinkles. *STORE: Store leftovers in an airtight container at room temperature for up to 3 days. 1. Peel the carrot and slice into discs. Steam for approx. 20 minutes until tender. Add the spinach leaves and peas to the steamer for another 2 minutes (you can boil the vegetables instead if you prefer). 2. Drain the veg and allow to cool. 3. Create 3 different coloured spreads. Blend one third of the soft cheese with the carrots for an orange spread, then place into a storage pot. Blend a third with the spinach and peas for a green spread, then finally a third with the cooked beetroot. Place them straight into the fridge to firm up. Use either a high speed blender or stick blender, whichever you prefer. 4. Once firm, spread 3 slices of bread, one with each colour spread. Place the slices on top of each other with the spread face up, creating a sandwich, adding the plain slice on top. Carefully cut the sandwich into little squares, triangles or any shape you like, great for your little one to grab hold of. These spreads can be made in advance and kept in the fridge for a couple of days, or frozen for a month. You can also remove the crusts to see the colours all the way around the edge. Great for parties, lunchboxes and picnics. You can also add fresh herbs to the green spread, such as basil to add an interesting flavour, and some grated parmesan for a more cheesy flavour. Why not experiment with other vegetables, using roasted carrots rather than steamed gives a different flavour to the orange spread. If you liked the rainbow Sandwiches how about combining them into an entire Rainbow Lunch? This is a Bento style lunch box which is something I love and have mentioned before on this blog, just search for the term "Bento" and see what comes up. It's a Japanese style of packing a lunch box so that all the ingredients are in correct proportions and you get a nice blend of colours whilst also being practical in that the ingredients are filled in a way that everything holds together. 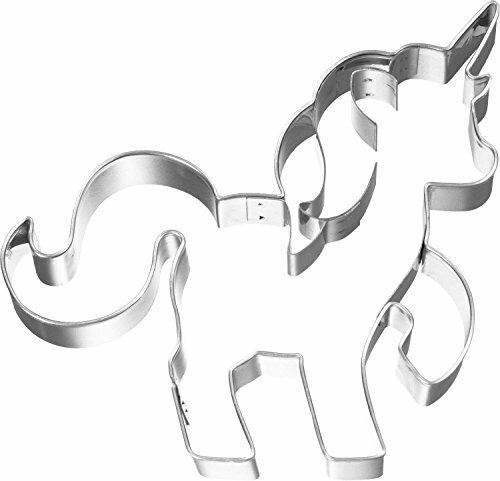 Start by cutting out the bread into a Unicorn shape, use a cutter like the one I have found below, you can fill this with whatever you want but a rainbow Sandwich would be brilliant. Set this aside and continue with the rest of the lunch box. This cutter can also be used for making Unicorn Biscuits and how about Unicorn Water melon slices? Lay the rainbow veggies out in the bottom of the largest compartment in your lunch box. I arranged mine in colour order – purple carrots, red pepper sticks, orange carrots, yellow baby corn and green cucumber. Lay the rainbow fruit out in one of the smaller lunch box compartments. I arranged mine in the following order; red grapes, strawberry slices, green grapes and blueberries. Fill another compartment with a plain popcorn ‘cloud’. Finish the lunch off with a couple of gold coin for a treat (optional). This is super simple, tasty and healthy too! Anything Unicorn needs to be super colourful so it's time to raid the cupboard and fridge and see what you have for the different colours. You can mix things up with different coloured peppers and different types of beans etc. You will also need the juice of a lime too. Try adding some Avocado chunks and maybe try heating up some corn on the cob on a griddle pan until it starts to blacken. Run a knife down the cob to release the corn kernels. This adds a great smokey flavour to the salsa instead of using a can of sweetcorn. Enjoy this with some tortilla chips and you have a great lunchtime snack. All of these great snack ideas is making me thirsty so how about some Unicorn Lemonade, maybe we should call this something like a Unicorn Tears Drink? That gives me an idea for next week, make sure you come back next Tuesday for another week of great Unicorn fun and check out the posts at the bottom of this post for more Unicorn theme fun. This really couldn't be simpler, so I have added some extra little touches to take this idea over the top but for the actual drink, you'll make it in no time at all really and the kids can help you make it too. 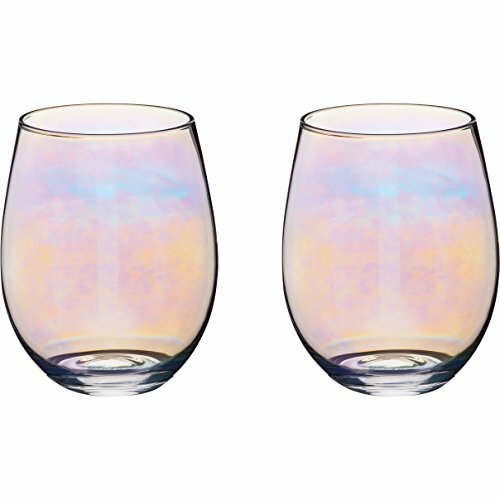 Divide the cups of water so that you mix one cup of pink, one cup of purple and one cup of blue water. Always start with a small amount of food colouring so you can add more if needed. You want nice bright colours. Fill Ice cube trays with the coloured waters, try to make sure they stay separate, so maybe use a different ice cube tray for each colour. You will need lots of ice in every drink so you may need to make extra cubes. Now whilst they are freezing you can pop to the shops and get the best Lemonade you can buy, it can be fizzy or more of a classic cloudy lemonade whichever you prefer. To make the drink fill the glass with as much of the coloured ice as possible, to to add the cubes in layers of the different colours. Pour over the lemonade and watch the magic, as the ice melts the drink should blend and change colour whilst retaining the great lemonade taste. Add a slice of lemon on top and try the extra touches below to take it over the top. Use corn syrup, poured onto a plate and before you make the drinks but after the ice cubes are in the freezer. Place the glass mouth down onto the corn syrup and roll it around so the rim of the glass is covered. Now roll the rim through a plate of sprinkles (hundreds and thousands), put in the fridge to chill and solidify. 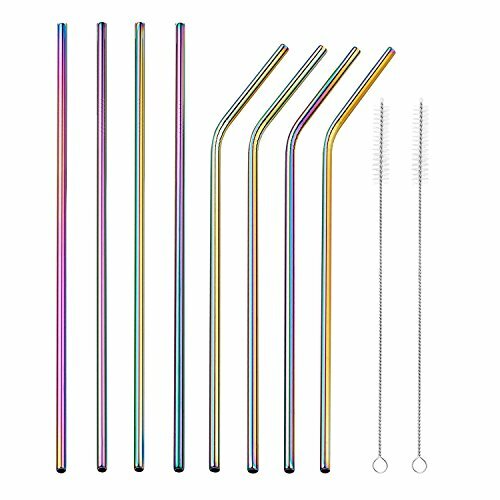 See if you can find a rainbow decorated glass or tumbler and a unicorn straw, it's all in the presentation and these touches will take it to the next level. I have added some links below for what I could find. Im back! Not for long though I'm afraid, im still working on the studio space, I can't wait to share with everyone what I have created. 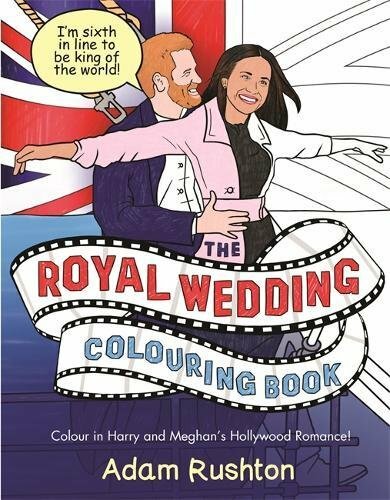 With the whole country getting excited about the Royal Wedding of Prince Harry (Henry) to Meghan Markle I thought I would come up with a bunch of great ideas for fun at home whilst you have the wedding on the TV or fun you can do before you pop out to one of the many public events going on around the country. I havent really been following the TV coverage so far ( I don't watch TV) but I bet the coverage is going crazy in the U.S with an American joining the Royal Line. I have included the current (Correct as of May 2018) Royal Line of Succession below. I'll be honest it confuses me a little? I think Meghan will now be seventh in line to the throne? which will change if they have any children. Please do correct me in the comments if I have it wrong. With all this Royal fun it reminded me of the time that Danny Dyer was on the BBC show Who Do You Think You Are? and found out that he is a direct descendant of Kind Edward III, take a look at that clip and then we'll get cracking on with loads of fun activities, keep the kids busy with these great colouring pages during the more boring bits of the TV coverage. If these only just wet your appetite than maybe trying one of the commercial colouring books available from Amazon? I have linked to one of the ones I like but there are many more at Amazon.com. 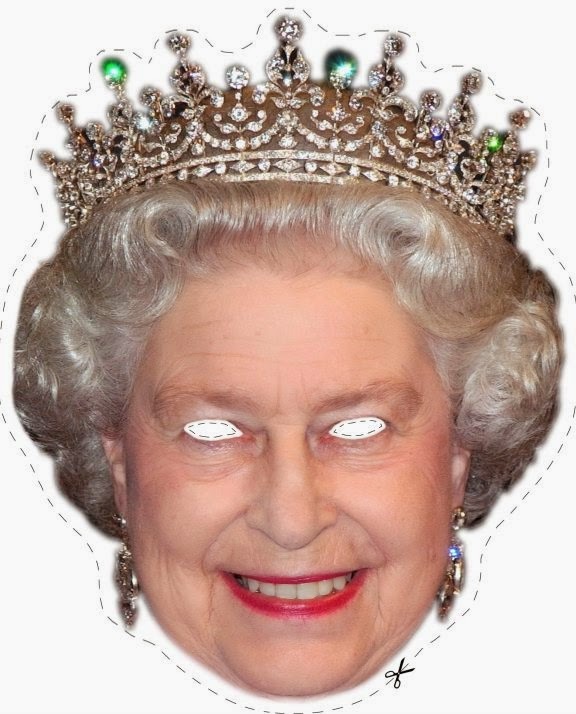 Lets have a right Royal laugh with the next activity, Royal family masks, have a laugh and assign everyone in the family a different mask. Just click on the mask to print it out, cut it out and either add a stick (skewer) at the chin or elastic attached to the ears. Now to really get into the celebration mode how about using some red white a blue balloons and pin them up around the house, combined with these great paper chains, super easy to make, all you need is some A4 paper in red white and blue. You should be able to find coloured A4 paper in your local craft shop, I like hobby craft myself. Cut the paper into strips. Make a loop with the first strip and either glue, sellotape or staple the loop together. Take the next strand thread it through the first loop. Close the second strip into a loop and secure with glue, sellotape or a staple. Continue this for however long you want your chain to be. 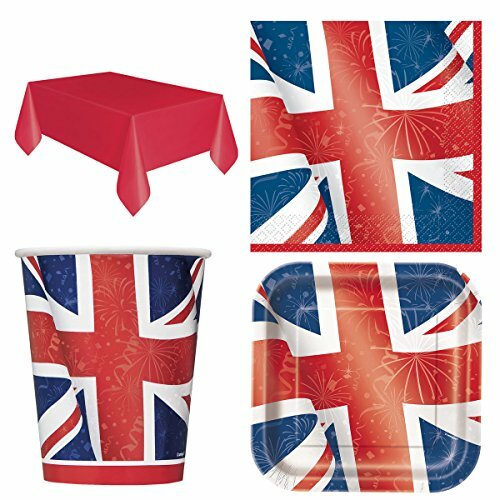 You can also find loads of great decorations and party ware online too like this set from Amazon. Things to decorate your crown with: sequins, rhinestones, plastic gems, glitter glue, puffy paint, tinsel paper, etc. Cut out a 1½ to 2-inch wide strip of yellow or gold construction paper long enough to go around your head. This piece will be the crown's base so the construction paper should be thick/heavy weight for a sturdy crown. Glue the ends of the strip together to form a circle. Cut out a pair of 1½-inch wide by 10-inch long strips of black or brown construction paper (or a color that best blends with your hair color). Glue the first strip across the middle section of the base, spanning the circle's diameter. This strip will define the crown's fit on your head and should follow your head's contour. Try on the crown and adjust the strip's position while the glue hasn't quite set yet. Position the second strip perpendicular to, and at roughly the same height as the first. Glue the ends in place. Reinforce each strip's connection to the base with tape. These two strips should be well-anchored since they form the supports or frame for your crown. 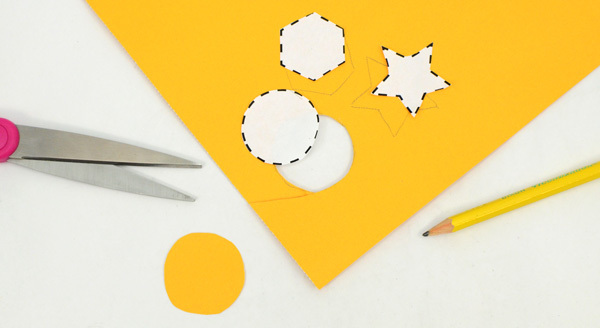 Cut out six identical strips of yellow or gold construction paper. Each strip should be 1½ inches wide and 8 inches long. 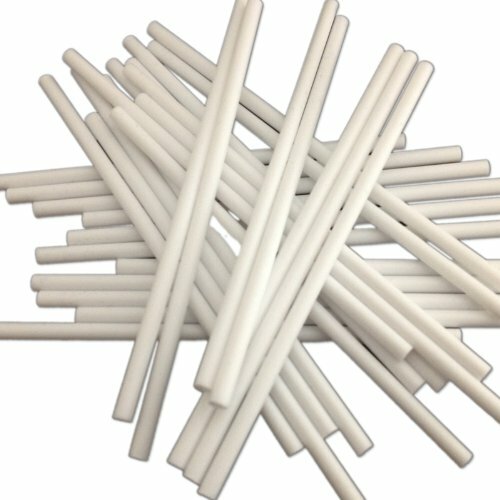 Curve out the strips on one end and punch a hole near the tip. Punch a hole at the center of the supports. Glue the strips from inside the base at the 12 o'clock, 2 o'clock, 4 o'clock, 6 o'clock, 8 o'clock, and 10 o'clock positions. Try to glue the strips at the same height along the base. Glue the tips of the crepe paper onto the center of the crown supports. 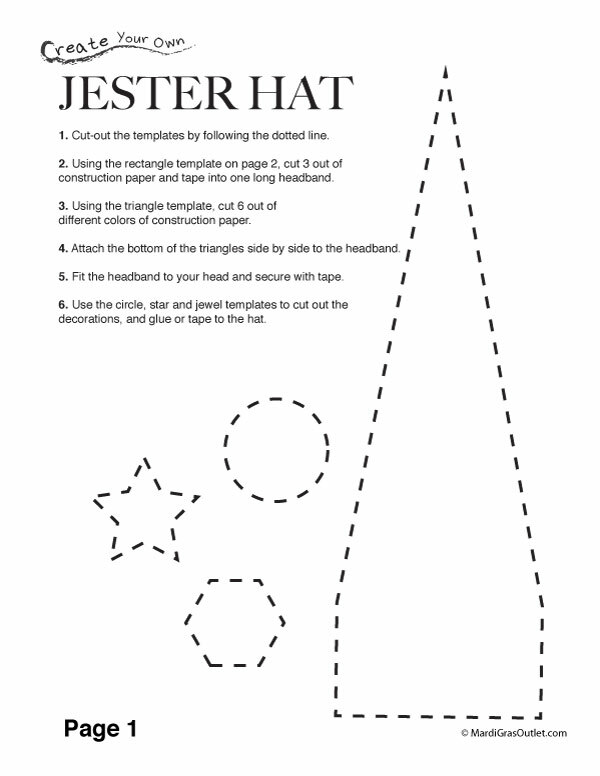 Create a cross-shaped crown topper by cutting out a pair of identical crosses from yellow or gold construction paper. Include a tab or rectangular extention at the base of each cross. Crease along the bottom tab. Glue the crosses together except the bottom tabs. The crosses should be aligned at the edges. Fold out the bottom tabs. Punch a hole at the center of one bottom tab and insert a round paper fastener. Insert the ends of the paper fastener through the hole on one of the crown's six strips. Simlarly insert the ends of the paper fastener through the hole on each of the remaining strips so that the tips of all six get tucked neatly under the cross. Anchor the cross onto the crown by inserting the ends of the paper fastener through the center holes on the supports, easily puncturing the crepe paper cover. Split the ends of the fastener from the inside of the crown. For safety, cover the ends of the paper fastener with tape or with a small piece of paper. Decorate your crown with sequins, rhinestones, plastic gems, gem-style stickers, beads, glitter glue, puffy paint, bits of tinsel paper, and other notions. Once it's all dried you have an amazing crown to wear with pride. Not happy with a crown? 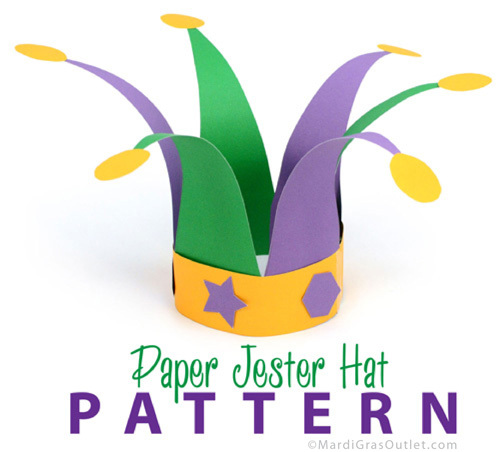 then how about this cool jesters hat instead. Cut out the templates included below, the headband may need to be adjusted in size to fit the wearer. Cut out the spikes in alternative colours using the template provided. Normally around 6-8 spikes are needed but this varies depending on the size of the head band. secure the triangles to the inside of the hat using glue or sellotape. Finally add any decorations that you want, use glue to add the circles, hexagons and stars in the template. Carefully crack the tops of your eggs and remove the egg from the shell, wash and dry the egg shell.Fill with a small amount of cotton wool and sprinkle in some cress seeds.Draw faces onto your egg shells and make small paper crowns.Water every day and within 5 days you should have sprouting royalty! Howe about some super tasty British food? Don't worry the Kids Kitchen is open and has you covered. Our modern take on the British Traditional Fish and Chips should please everyone. Just click on the picture for the full recipe, a modern shallow fried fish with sweet potato chips. Thats it for now, I will be back as soon as I can. We are aiming for a summer launch for the Studio Space and then we will continue to tweak and improve it as we go. Once the Studio Space is open the content should come thick and fast. I can't wait!